How to cosy up your winter outdoor garden! Are you sick of being cooped up indoors? Do you want to spend time out in your Winter Outdoor Garden but have nowhere to sit or keep you warm? Then there are our top 5 tips to cosy up your outdoor garden in winter. There are so many options when heating your outdoor room or garden. 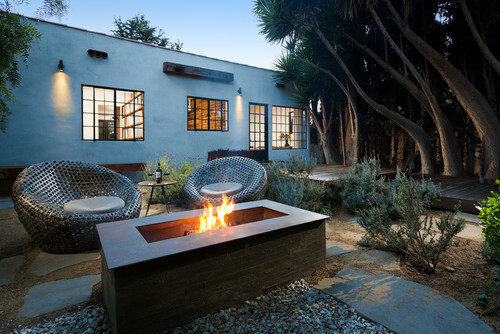 You can use firepits, outdoor heaters and even Chimineas. Depending on your budget and style there are wood or gas options available. 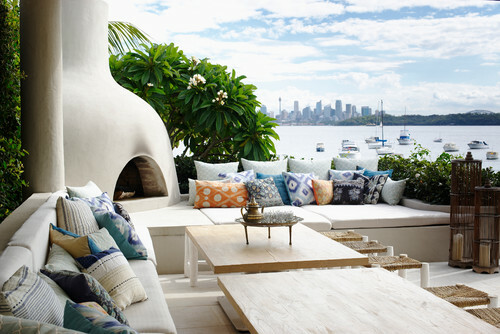 Outdoor firepits or chimineas are a stylish outdoor interior but also keep your family warm and cosy. This means you can use your outdoor garden all year round. In the summer months, you can also use a fire pit as a planter or water bowl! Once you have the heating sorted then why not invest in some great weatherproof furniture. If you have a large space then wicker furniture is a popular option. There are curved lounges with coffee tables which would look great around a fire pit. 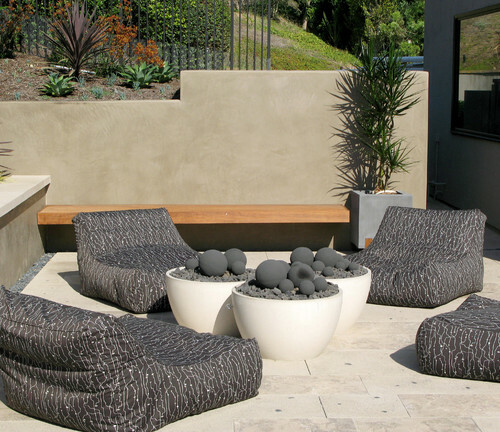 Outdoor bean bags are a relaxing option to sink into around a warm outdoor heater. There is nothing better than fresh winter produce to warm your belly! Growing your own vege in winter allows you to create an awesome range of hearty meals. Download our winter planting guide to find out what you should be planting now. Check out some of our great winter soup recipes you can pick, cook & eat straight from your winter garden. Texture adds visual warmth. By including waterproof rugs and cushions, you can create a warm inviting area and also keep your toes warm! They come in all different shapes and sizes and can be easily cleaned with a hose or vacuum. Make sure they are mildrew and UV resistant and are easy to clean. There is nothing better than to warm your insides up than a homemade woodfire pizza. Imagine sitting by a cosy woodfire whilst your gourmet pizza is cooking. 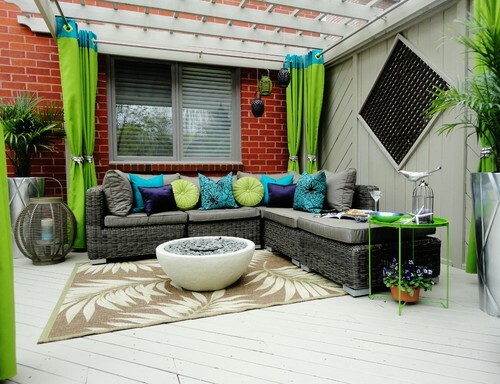 There are many different styles that can really create a stunning outdoor room. Did you know that you can also bake bread, cook stews and lots of other recipes as well in some pizza ovens? Check out our blog on how to make a fun pizza garden with the kids. Winter doesn’t mean you have to be stuck indoors! By creating a beautiful outdoor room where you can cook, garden, eat and relax will ensure you make the most of our great winter weather.